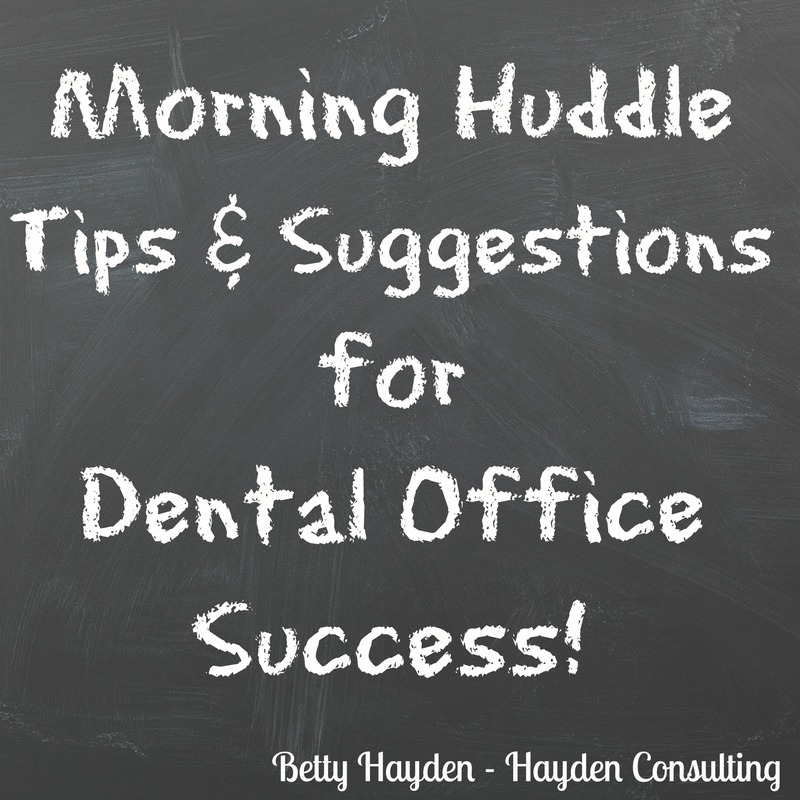 Morning Huddle Tips for Success – Hayden Consulting – Where Your Success in Business and Life Matters! This entry was posted in Customer Service Tips, Dental Success, Practice Management and tagged betty hayden, betty hayden dental consultant, customer service, dental office morning huddle, dental office morning meetings, dental office success, handling emergency patients, hayden consulting, how to keep dental schedule full, how to stay on time, morning huddles, morning meetings, productive morning meetings, stress free work day, successful team meetings, team meetings. Bookmark the permalink. Pingback: Shake it Up Baby! How to Love Monday’s | Hayden Consulting – Where Your Success in Business and Life Matters! Thank you for your comment. Wishing you much success in your new start up!! These are really great tips for any dental office to help keep things straight, ease communication and give clients the best experience possible. We will certainly incorporate some of these in our daily huddle! Hello – I just emailed you an invitation. Thank you! !